Mental health may sound like a field that is reserved for people who study psychology. This is not the case, however, and people from a spectrum of academic disciplines (English, Linguistics, History, Philosophy, Social Work) end up working as mental health counselors and therapists. Because this is a health profession, it is regulated by the government and anyone who wishes to practice in the field of mental health has to pass state mandated education and certification. 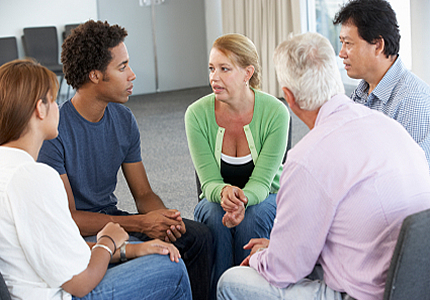 Those who complete such requirements are eligible for employment in mental health clinics, community mental health centers, hospitals, non-profit counseling agencies, college and university campuses, corporate mental health services (e.g., employee assistance programs, personnel departments, mental health support units) and are eligible to open independent private practices after licensure. Because we are trained to think that certain majors can only lead to a limited number of career paths, we can sometimes find some kinds of career changes surprising. But that’s why careers are careers: your level of education allows you to see connections among fields of study and to improve your qualifications to work in a field that’s new to you, but that is genuinely related to what you have learned as an undergraduate. 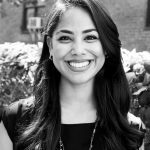 Our alumna Stephanie Rojas (2012) discusses her job as a Mental Health Counselor. I’m a mental health therapist for Henry Street Settlement’s School-Based Mental Health Clinic. I am currently working in a Community School on the Lower East Side providing mental health counseling to students in grades K-12 and their families. The bulk of my work consists of providing bilingual psychotherapy (individual, group, and family counseling) to students and families. 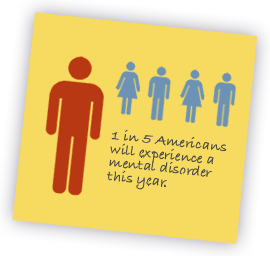 I work with children and adolescents who are diagnosed with mental illness, such as depression, anxiety, posttraumatic stress disorder, and ADHD. I also collaborate with school staff to best support students and their families as well as provide workshops and trainings to school staff, students, families, and other colleagues. PROS: the satisfaction of helping others achieve personal goals, growth, and empowerment; this field emphasizes self-care (making sure that you, as a clinician, are taking steps to ensure optimal wellbeing to provide the best service for your patients) and it pushes for self-exploration, self-awareness, and personal growth; I also love that I receive ample support from staff. CONS: tons of paperwork! It can be really stressful and overwhelming and you’re also more susceptible to vicarious trauma. Analyzing and interpreting, searching for and exploring themes, and writing coherently and as grammatically correct as possible. Writing and rewriting essays helped! I minored in Counseling at John Jay and went to Fordham University for my masters in mental health counseling. As part of my graduate program, I did an internship for one year where I provided individual counseling under supervision. I learned about Henry Street Settlement through my graduate internship, where I was hired to work for their adult outpatient mental health clinic. I was then promoted into the School Based Mental Health program once the position became available. Seek out Internships, do research on the career, interview people in the field and their colleagues, shadow someone, and network. Lastly, explore the pros and cons and weigh them out.